It was one of those days where nothing seemed to go right. I didn't sleep well (new baby in the house). I had to get up entirely too early (did I mention a new baby in the house?). I forgot to set up my coffee pot so when I got up and hit the "go" button, nothing happened. Three of the four kids in the house wanted to do anything but what needed to be done and I was beginning to question whether I could handle taking in the two extra children God has placed in our home and still keep my cool, much less my sanity. I felt so far from what I had pictured for my life at this point, and like many parents, I felt so alone. Fortunately, God never leaves us (Deut. 31:8), and He always knows just what we need (Matthew 6:8). I sat down the next morning and opened my Bible to Luke chapter 17 and began reading. 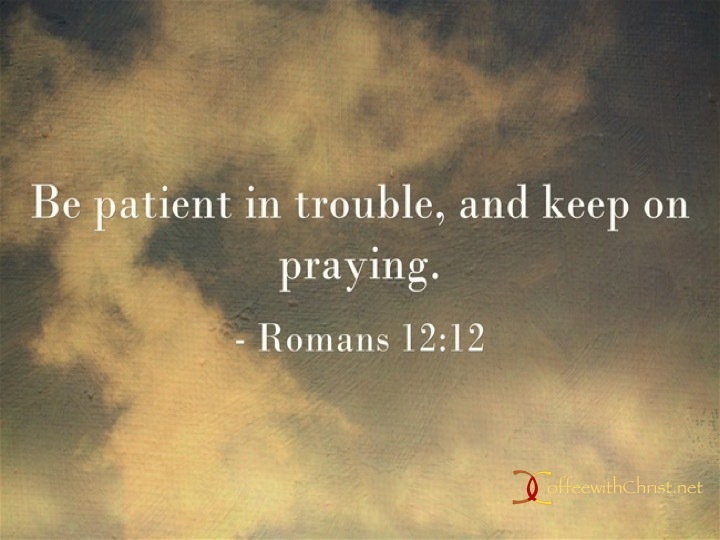 In verses 11-19 Luke tells us the story of 10 lepers that were healed by Jesus. Leprosy was a disease that sentenced a person to a life of solitude and separation. Those afflicted were forced to leave their home, their family and move outside of the city. They couldn't walk the streets without announcing their disease so the "healthy" people could retreat from them. Talk about being alone! 10 of them were gathered together and saw Jesus approaching. They knew He was capable of healing them, yet rather than approach Him they yelled out to Him, begging for help. I don't know why Jesus chose to yell back, rather than physically touch them. He had done it before (Mark 1:40-45), so we know He wasn't afraid of the disease. Whatever His reason, His response struck me as strange. He didn't tell them He would heal them. He didn't give them directions for healing. He simply sent them to the priests. According to custom, a priest had to examine a person that had recovered from leprosy and declare them "clean" before they could resume their life. I wonder what they were thinking. But the lepers, no matter what thoughts ran through their heads, obeyed. Luke doesn't record them questioning Jesus, only that they went. That's hard, isn't it? Obeying Jesus when it just doesn't make sense to us? We have to completely trust that He knows what He is doing, that His plans truly are what is best for us, that He is in control. It truly takes faith to follow directions when you can't see where you are going. And it wasn't until AFTER they started on the path to the priests that they were healed. Sometimes, we have to just take that step in the dark, not knowing all the details or how it will turn out, and trust that it will work out. And when it does, when you see God's perfect plan work out for your good (Romans 8:28), make sure you are like the leper that turned back to thank Jesus. Remember who it is that blesses you with everything and respond with a thankful heart. After all, doesn't He deserve it? So I may not know how things are going to turn out for my family., whether the momma of these two children will recover from her addiction and be able to reunite her family, or whether they will remain with us until their adulthood. What I do know is that God has a plan in this and I chose to trust that He knows better than I do what is best. So if He never chooses to reveal His plan to me, I am OK with that. He set me on a path and I am going to walk it, and not lose sight of the One that is truly in control. 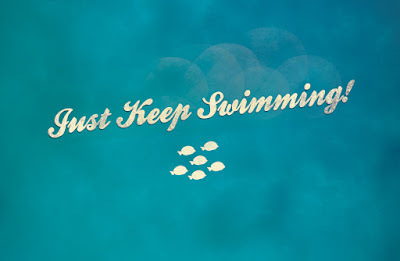 Or, in the memorable words of a little blue tang fish, I am going to "just keep swimming". We all have struggles in life. Whether it’s at work, in our marriage, with the kids, in our Spiritual life… Life can just be overwhelming at times. I’ve, as of late, been struggling with balance. Balancing being a wife, a friend, an employee, a newly self-published author and a disciple of Christ. And if I’m being honest, I don’t think I’m faring well. I feel like every part of my life is only getting a subpar effort. And I’m exhausted. What do you do when you feel like a failure and are completely overwhelmed? Remain steadfast in your trust of the Lord (Psalm 119:31). No one is perfect. [Amen!] We all stumble at times. We may have full seasons of stumbling, or we may just have a few moments. It may seem like all we do is stumble—but the Lord holds our hands and keeps us from falling (Psalm 37:23-24). Ground your feet, and keep going (Psalm 24:16a). Take heart that God’s mercy never ends (Lamentations 3:22-23). We are typically our worst critics. But if God—the Creator, the All-Mighty Judge—forgives us and takes mercy on us, why can’t we? Be patient with yourself, as God is patient with you (Hebrews 10:35-36). 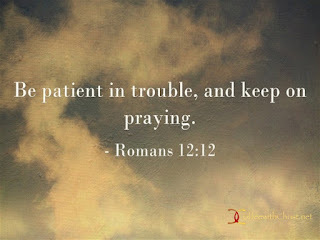 Seek His counsel (Number 32:23) to show you how to do/be better. Trust His Word. For me, I acknowledge the perspective of the ‘real world’ problems: poverty, hunger/starvation, threat of war, natural disasters, etc. These are the things that make me feel insignificant and selfish. But as I watch the news reports today bombarding me with reminders of 9/11 sixteen years ago and hurricane damage, I am grateful for the struggles I have. Yes, there are people that have it much worse than my very blessed life. But, it’s more than that. Our struggles shape us. We are a work in progress (some days, we see more work than progress) (Romans 5:3-5). When I feel like an utter failure at times, I gird my feet and allow Him to fill in where I fail.